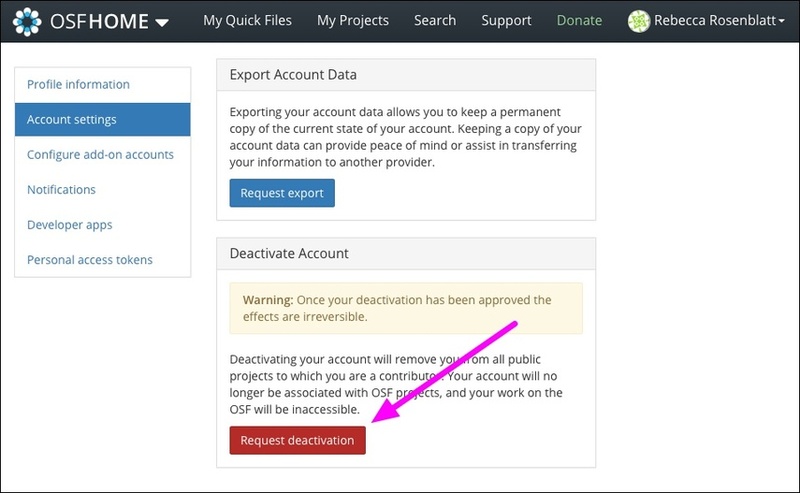 If you want to close your OSF account, log in to your account and request an account deactivation. 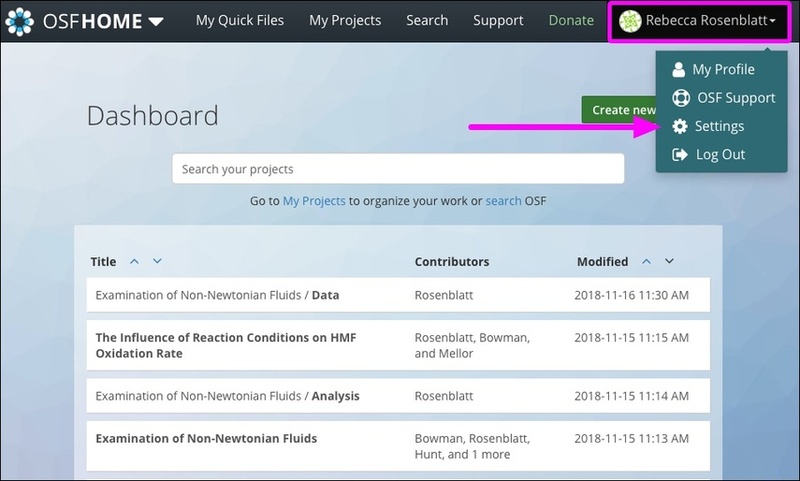 OSF Support will reach out to you to confirm your request and deactivate your account. Scroll to the bottom of the "Account settings" page. 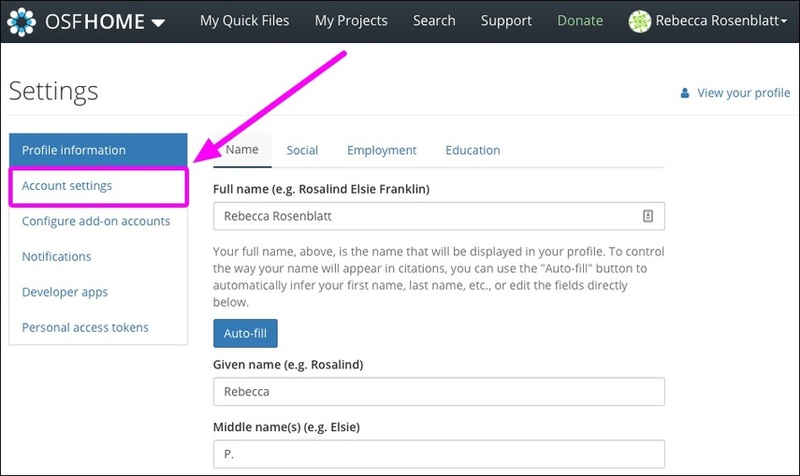 Click the Request deactivation button. 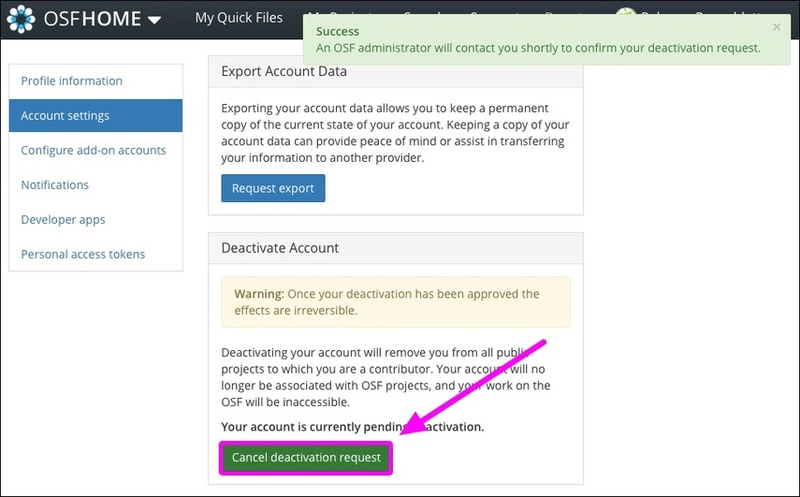 OSF Support will receive your request and will reach out to confirm your account deactivation. 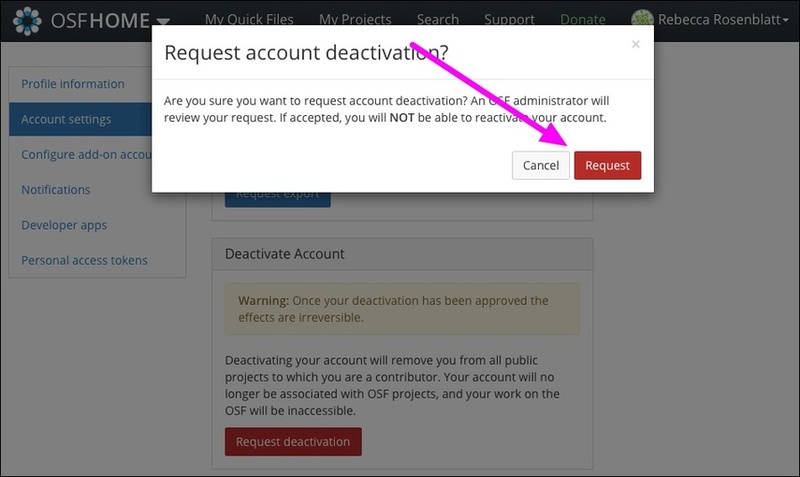 If you want to cancel your request, you can click the Cancel deactivation request button.